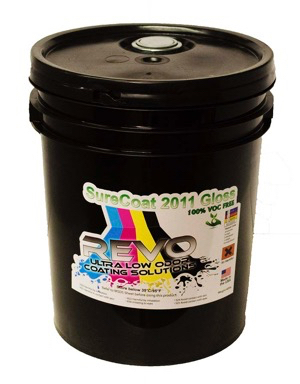 Low Odor UV Coating Fluid? You are probably asking, “low odor UV coating fluid? Is there such a thing?” The answer is yes. We purchased a new UV Coating machine for our print shop. It came with a 5-gallon pail of UV Coating fluid. We ran a small job yesterday in our print using the fluid that came with the machine. Our shop and offices still smell today. Can you get used to it? Yes and no. For print shops that are in urban areas and attached to other businesses. High odor from your UV Coating machine could be a problem. Your neighbors may not be happy with you. Some people can adapt to the smell and others have found that the smell irritates them. Until you run a job, you will not know where you stand. One way to adjust the smell is to lower the IR settings on your machine. The higher the setting, the more odor it will give off. Changing the IR could reduce the odor. Usually, we run our projects using REVO coatings. 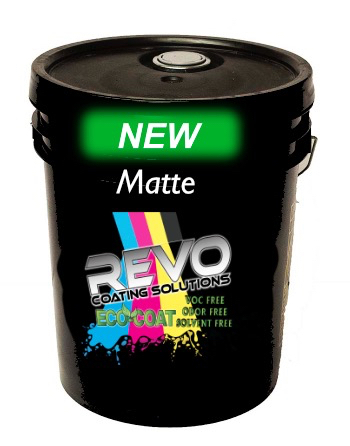 REVO coatings is a low-odor UV Coating fluid that is available for virtually any digital and off-set print available on the market. They offer both gloss and matte finishes with a very high-quality finish. Most important, they emit little to no odor that will smell up your print shop. It’s funny that we decided to use our complimentary gallon with our new machine and were reminded how bad it can be. In the meantime, we have ordered a new scent to finish the 5-gallon pail. That is also an option. Print 2017 Chicago Highlights – New REVO Eco-coat UV Coating Fluid launched!